New Orleans police are continuing to investigate how a law enforcement officer visiting from Ireland wound up being robbed and shot early Tuesday morning in the 7th Ward. Brian Hanrahan, a 30-year-old Garda (police officer) from the town of Newcastle West in southwestern Ireland, was described as stable and in good spirits at Interim LSU Hospital, one day after being shot in the torso and leg during an armed robbery. Police said the crime occurred last Tuesday around 5:40 a.m. in the 2200 block of New Orleans Street. 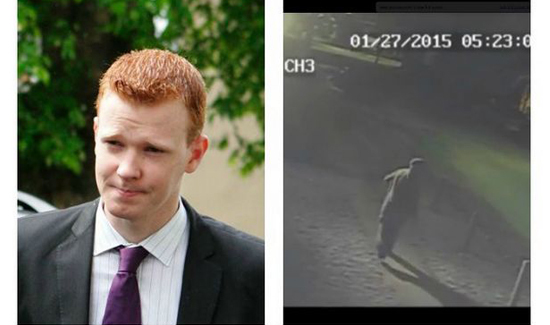 Hanrahan was vacationing in New Orleans with his father, whom Irish media reports said lives in Missouri. The officer’s mother and wife were expected to arrive from Ireland on Wednesday, and local groups were working on fundraising efforts to defray the family’s travel expenses.